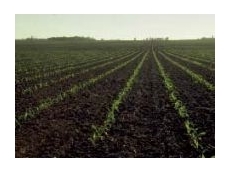 Pursehouse Rural is a highly reputable and well established Farm Input Distribution business with a reputation for providing effective agribusiness solutions. 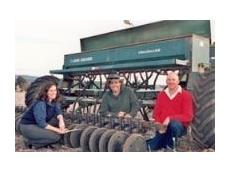 21/07/08 - Plumb Motors distributes livestock feeding equipment such as the TRIOTRAC, a self propelled mixer feeder wagon designed with joystick control for easy operation. The TRIOTRAC is suitable for farms with groups of 80 to 240 animals. 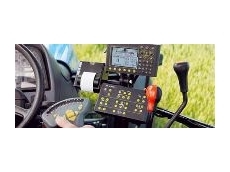 17/07/08 - Plumb Motors supplies quality lawn tractors suitable for applications ranging from small areas to large ones, where a powerful garden tractor is required. These are available with various optional accessories for customers to choose from. 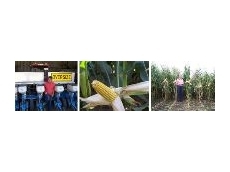 26/02/07 - An outstanding crop of Olympiad and Hannibal maize varieties has achieved a yield of just over 514 tonnes of grain (14% moisture) from 24.5 hectares (60.5 acres). 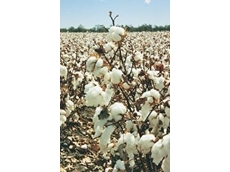 04/10/06 - Pioneer Hi-Bred Australia is backing a new project aims to quantify the benefits many growers are seeing in their cotton crops after planting corn the previous summer season. 28/09/06 - A crop establishment failure late last year led to the unusual situation of a farmer being provided with replacement seed from a company that didn’t supply all of the original product. 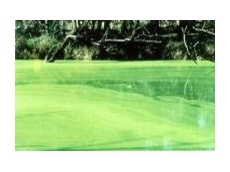 19/09/06 - Coptrol is a new generation algicide created by Rural Chemical Industries (Aust.) Pty Ltd. It is a water-soluble chelated copper compound in which the copper is held so tightly it cannot be "stolen"
08/09/06 - Pete Kitschke has already yielded a great return from purchasing Pacific Seeds’ Tornado TT canola seed from his local Elders branch this season: winning a study tour to Germany with his purchase. 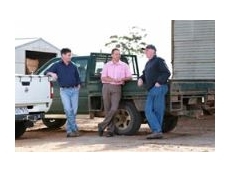 08/09/06 - Ben Sprigg has already yielded a great return from purchasing Pacific Seeds’ Tornado TT canola seed from his local Elders branch this season: winning a study tour to Germany thanks to buying Tornado Canola TT. 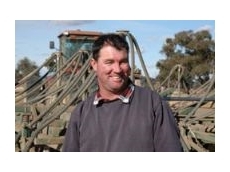 08/09/06 - West Charlton grower, Stuart Giles, may have preferred a little more luck with the weather at the start of the season, but couldn’t have been luckier when it came to buying canola seed. 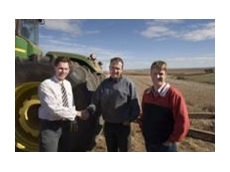 08/09/06 - In New South Wales Russell Moloney has already yielded a great return from purchasing Pacific Seeds’ Tornado TT canola seed: winning a study to tour to Germany by purchasing Tornado TT canola seed.